Organizer, Pastor & Overseer of the Apostolic Deliverance Temple Church, And President of the Alliance of Apostolic Churches of Christ Jesus. Born in Horn Lake, Mississippi in 1941 to Perry Sr. and Charity Maples, Apostle Maples always knew that God had special things for him. Apostle Maples is the husband of First Lady Luphelia Maples, This union has been blessed with one daughter, one son (deceased), seven grandchildren (2 deceased) and three great grandchildren. Apostle Maples currently oversees thirteen churches, including two he built in the villages of Pokukrom and Nyamebekeyere, Ghana, West Africa and one in Hinche, Haiti. Apostle Maples' greatest call is to minister to God's people. Moreover, Apostle Maples has an expansive professional, religious and civic background as well. He is the Founder and President of the Life-Line Outreach Radio, Television and Online Ministries. He is also one of the Founders and current President of the Alliance of Apostolic Churches of Christ Jesus (AACCJ) International Organization. Other accomplishments of note include: Memphis City Council Chaplain, Mayoral appointment to the Staff aid De Camp, Outstanding Community Service Award from Congressman Harold Ford, Gospel Bridge Award Pastor of the Year and Special Certificate of Recognition of the 25th Church Anniversary with Best Wishes from President Bill Clinton. In addition, Apostle Maples has earned a Doctorate Degree of Divinity from the Apostolic Bible Institute Norfolk, VA, Bachelor of Theology from Tripp Bible Institute Marion, NC and a certificate in Christian Leadership from Logos Christian College Jacksonville, FL. Apostle Maples has always been a great lover and singer of gospel music. 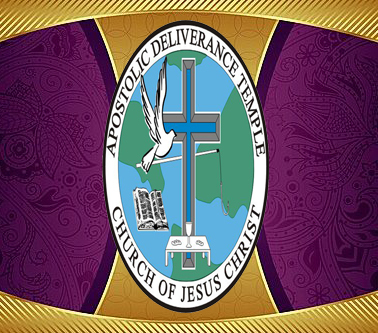 Under the leading of the Lord, He established Paluja Records and self-produced "Apostle Perry Maples Present The ADT Rapture Ready Choir". More recently, Apostle Maples authored the book - "Fixing The Family: Repositioning Your Relationships". Also under divine inspiration, Apostle Maples founded a community awareness organization "Think Before You Act Non-Violence Week (TBYA) April 4th - April 10th in Memory of Dr. Martin Luther King, Jr. Known as "The Man who tells it like it is" Apostle Maples has been throwing out the life line since 1975 and has no other mind but to continue preaching the Gospel of Jesus Christ.